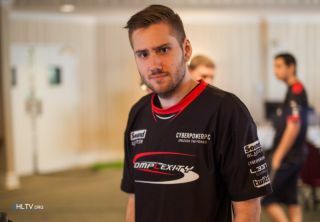 CompLexity Gaming has announced that it is returning to the CS:GO scene with a new team, "The Syndicate," whose roster includes Kory "Semphis" Friesen, one of the players on the compLexity CS:GO roster that was acquired last year by Cloud9. "We couldn’t be happier to be back in CS:GO,” CompLexity Gaming founder and CEO Jason Lake said. “Our love for the franchise is what lead to compLexity’s formation and we’re humbled and honored to be a part of the game once again. We’re also very excited to announce our new roster and eager to tackle the challenges ahead. Everyone involved understands that the division will be a work in progress, but developing talent and building champions are areas in which we excel." The original compLexity CS:GO team was acquired by Cloud9 on August 1 of last year. According to a Daily Dot report, the players were "disgruntled" by management policies, which among other things excluded them from any revenues earned through in-game sales of compLexity CS:GO stickers at that year's ESL One Katowice event. But bygones appear to be bygones. An HLTV report says the new compLexity lineup will make its debut later today when it takes on Team Liquid in CEVO Professional.